Here at Website Design Beverly Hills from conception to completion, we work with you to determine the suitable strategies and plans to meet your online objectives. We provide free consultations to better understand your online business needs and afterward design and build a concept around your business plan and objective. We have been in the business for 15 years and that provides us with the knowledge of what it takes to build a successful website for our customers nationwide and in Beverly Hills, California. Strong customer relationships, cutting edge website design, and a solid track record have helped Website Design LA become a leading web agency for the small business industry. Let us provide your business with our unrivaled expertise, customer service and essential e-solutions and strategies to help exceed your website goals and objectives. Website Design LA provides custom website design and development services nationwide. Our clients obtain the most innovative website solutions, unique designs and custom website applications. Our web page creations are never cookie cutter giving our customers the benefit of individuality and the search engine visibility needed to stand out from the competition. The proof of how we provide the best websites possible is seen in our Beverly Hills Web Site Design Portfolio to the left. Browse through our samples of custom designed websites and the many services that we provide and give us a call or email us for a free consultation to discuss your specific needs about your website project. Website Design LA in Beverly Hills is a top interactive website design, web development, and search engine marketing agency located in Beverly Hills, California. 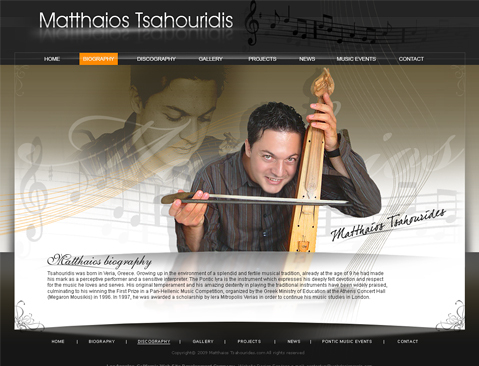 Website design and development for musicians and actors in Hollywood, CA.